If you're looking to automatically import new notes and research from Evernote to productboard you can use the Zapier integration to forward notes seamlessly. We've created a ready-made Zap for you to set up your integration in a few minutes. 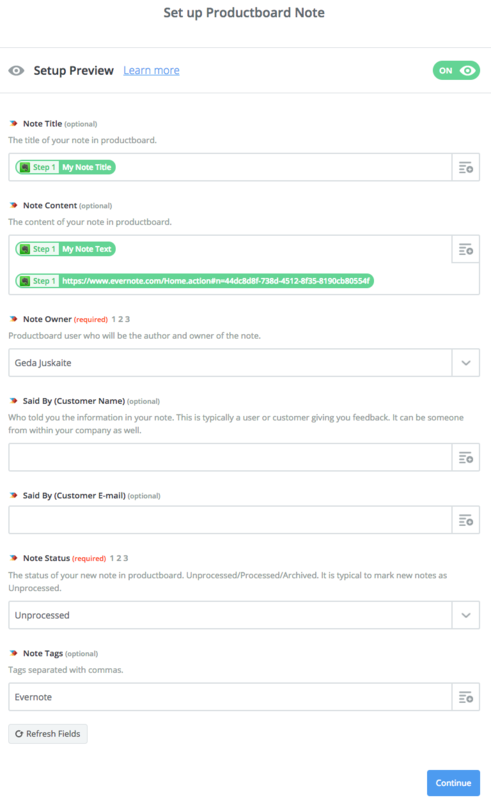 Tagging notes Evernote (or something similar) means that later, you'll be able to quickly identify those notes sent to productboard from Zapier, and make sure they're fully filled in and processed.